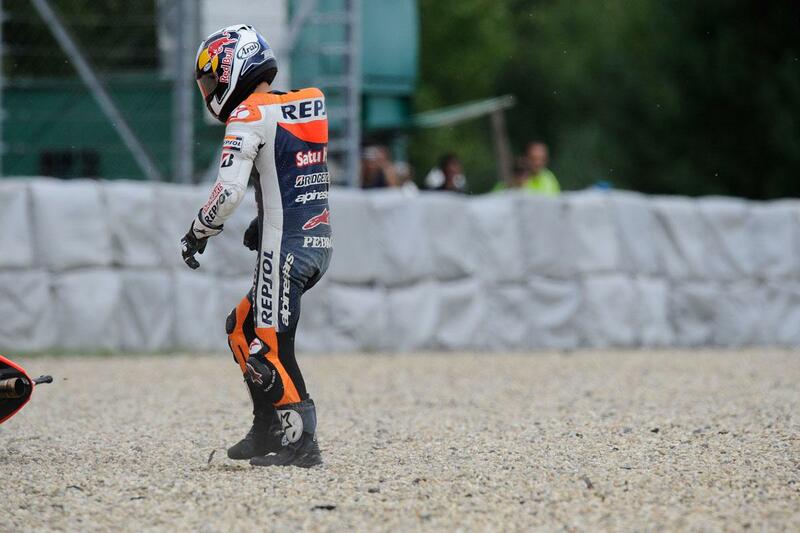 "I may have tilted the bike too much, maybe the tyre was not warm enough, still I don't know"
ALL weekend Dani Pedrosa set the pace on his Repsol Honda and was set to be a clear favourite for the race win, when unexpectedly after three laps the Spaniard lost the front and his race was over. 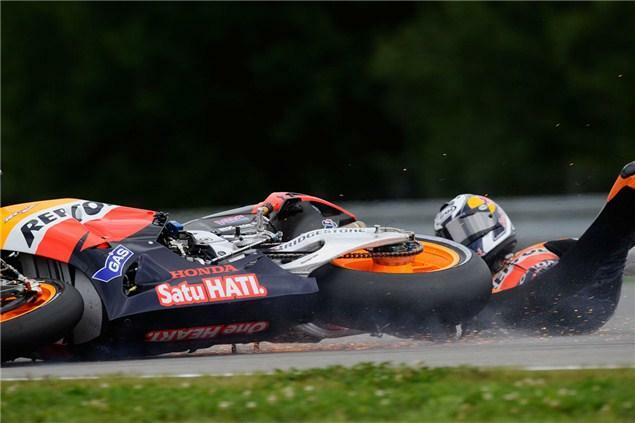 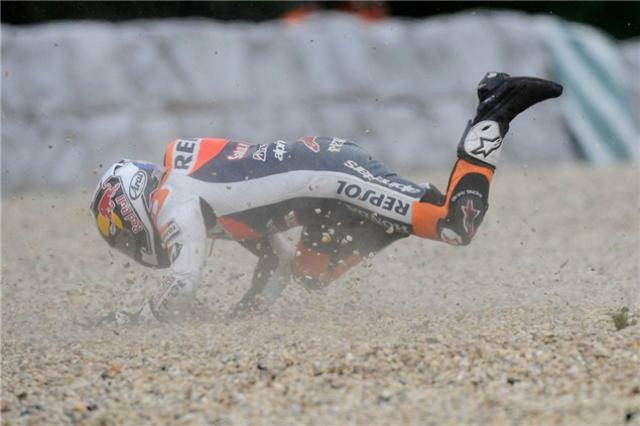 Pedrosa tried to make sense of the crash post-race: "It was a shame. 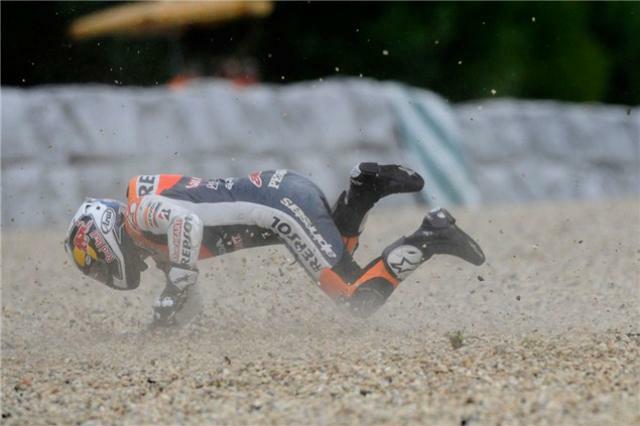 I lost the front and I crashed, that was it! 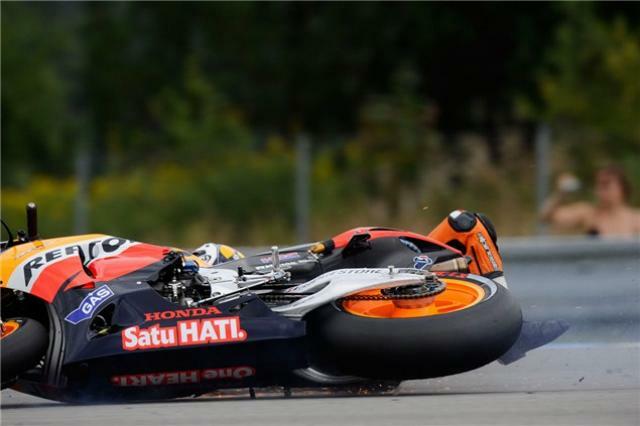 I was not even pushing so hard, I just took the lead and, well I may have tilted the bike too much, maybe the tyre was not warm enough, still I don't know. 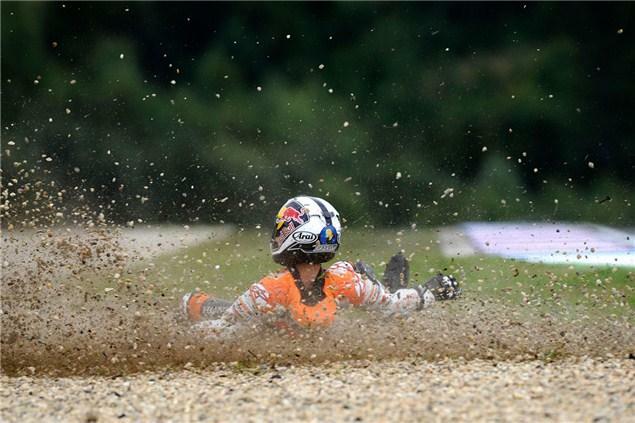 "The problem is that I've wasted an important race that we had prepared for very well. I have to thank the team for the bike they gave me this weekend, it worked really well, and I will tell them I'm sorry for the mistake. 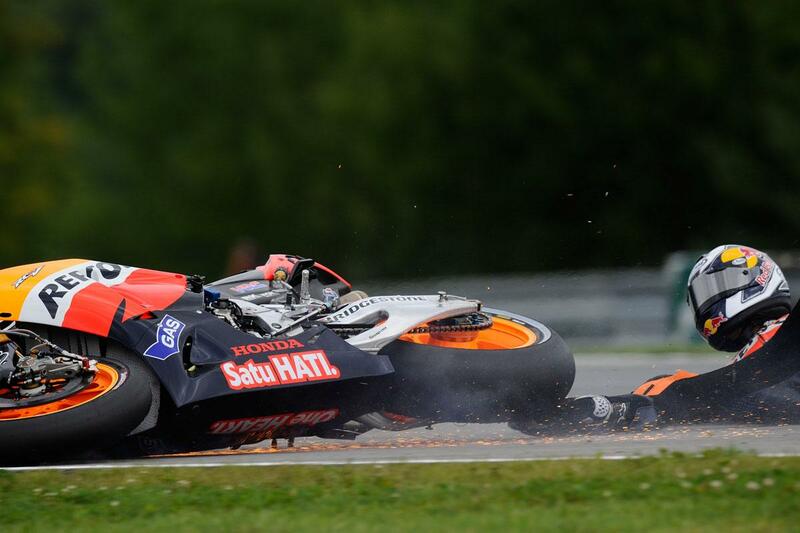 It hurts because we were well prepared and finally the race was quite slow compared to the pace we did in practice sessions, but we can not do anything, just think towards the next one and try to get back on top."